Home › Newsroom › Apple set to surpass spotify in the US? A report in the Wall Street Journal has this week claimed that Apple are set to have more subscribers in the US than Spotify by this summer, with a subscriber growth rate of 5% in comparison to 2% for Spotify. 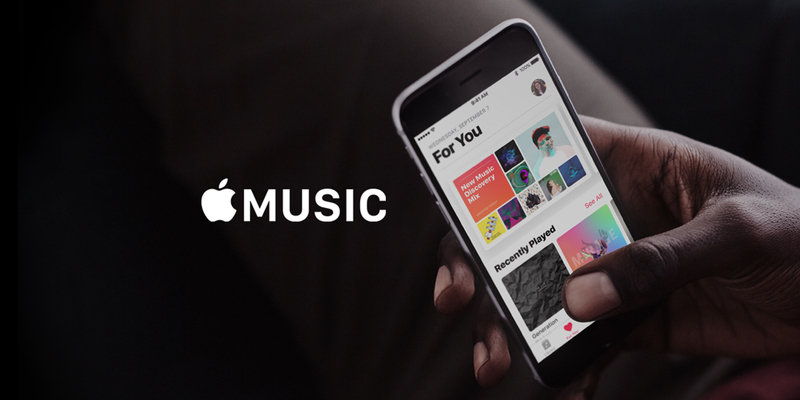 However, globally it is a different story – Apple Music’s paying subscriber base has now surpassed 36m worldwide, around half the size of Spotify’s equivalent premium audience. The platform has added 6m subs in under five months, so just over 1.2m every four weeks. Let’s not get too carried away – Apple has slightly increased its average month-on-month net subscriber additions over the past quarter. This still ultimately lags slightly behind Spotify’s recent average. As the dominant force in global streaming, they hit 70m last month, adding an average of 2m subscriber per month across an unbroken 10-month period. Is their competitors growth so impressive, considering Apple’s deep pockets when it comes to marketing and captive audience through millions of iPhones? Apple are still lagging behind – but are they better placed in the longer term to deliver streaming than a company dependent on that sole revenue stream?